Spin City is a mobile application for iOS and Android, developed by Relax Gaming in partnership with Quickspin. It offers four Quickspin favorites (Goldilocks, Big Bad Wolf, Supernova and Treasure Island), with more games to follow, and a Relax developed Blackjack and Roulette. The application and games have been developed natively, and offer a better visual and gameplay experience than HTML5 slots. “With Spin City our aim is to marry the best practices of the free 2 play social casinos and real money gambling. We leveraged our presence and experience in both markets with an application we feel offers great quality video slots and an additional layer of entertainment. By playing the games, you will be able to level up and earn trophies, granting a loyalty currency called tokens, which are used to trigger the bonus rounds on our slots. We are confident it adds a dimension to the gambling experience that the mobile players of today have grown accustomed to in other entertainment apps.” says Joachim Timmermans, VP of Strategy at Quickspin. “A gambling operator in today’s market has to offer a unique experience to its players to stand out. Spin City is the casino experience of the future with its natively developed games and its ‘gamified’ features; it combines all the quality and entertainment the mobile casino player wants. We are happy to have the Quickspin slots at launch as they are the definition of high quality gambling games.” says Daniel Eskola, Head of Products – Gaming at Unibet. Quickspin is a Stockholm based game development studio that targets the offline/online gambling and social gaming space. With a team of industry veterans from both operator and supplier side, they are looking to cause a trend breaking shift. Quickspin delivers triple-A video slots with a delivery on design, style, artwork, sounds and features that surpasses competition. 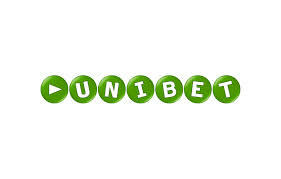 Unibet was founded in 1997 and is an online gambling company listed on NASDAQ OMX Stockholm. Unibet is one of the largest listed gambling operators in the European market and provides services in 22 languages through www.unibet.com, www.unibet.dk, www.unibet.fr, www.unibet.it, www.unibet.be, www.unibet.ee, www.unibet.com.au, www.maria.com, www.mariacasino.ee and www.mariacasino.dk. Unibet also offers Sportsbook B2B services through Kambi Sports Solutions, www.kambi.com. Today, Unibet has 8.6 million customers in over 100 countries. Unibet is a member of the EGBA, European Gaming and Betting Association, RGA, Remote Gambling Association in the UK and is audited and certified by eCOGRA in relation to responsible and fair gaming.